Starting beekeeping can be quite daunting, what with getting the right equipment and of course the right bees and it is so easy to get it wrong! We therefore recommend that if you are thinking about starting up beekeeping you contact us in the first instance before making any purchases. So if you require advice, please email pbkaapiarymanager@live.co.uk giving us your details and we will arrange for someone to contact you to discuss your plans. For all you fans of poly hives, you might like to check out the current sale at Paynes. 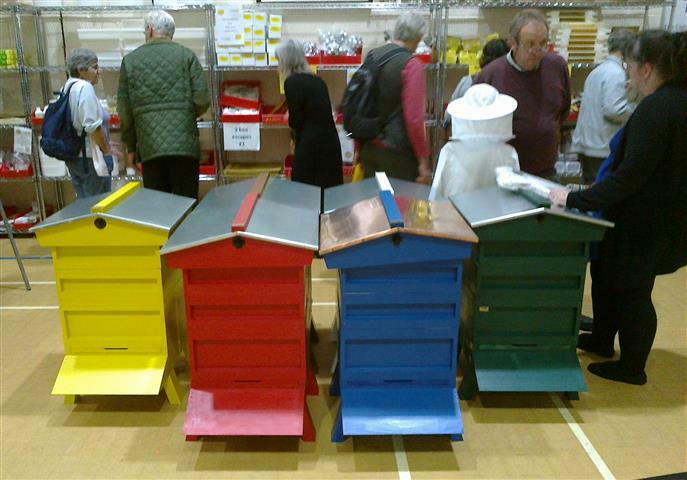 The Welsh Beekeepers Convention and the BBKA Spring Convention are the next big dates on the calendar. The Welsh Show will be held at the Showground in Builth Wells on Saturday 23rd March. [my italics and emphasis, pbka websmaster] We are now offering the opportunity to pre-order any sale items for this event and details are now on our website. These can be collected on the day at your leisure any time after 9.00 am. We will have the same items at the same prices if you just turn up on the day but only in limited quantity. In addition, we will have some great bargains on the day only, including wire excluders at £10.00 and our new improved frame feeders. Pre-orders will be accepted until lunchtime on Wednesday 20th March. Payment will be taken before the Show. Click here for items and prices. Queen Marking Pens – Why Pay More? The pen usually sold for queen marking is the Uni POSCA Marker Pen PC-5M. The usual charge is £4.14 plus delivery unless you include this in an order of over £100. Or you can by direct from Geoff Bazin for £3.50. However the best value is S.E.T in Bridge Street, Haverfordwest who carry the full range of POSCA marker pens in all the colours and all the sizes – there the PC-5M will only cost you £2.99 and you will be supporting a local business.